Why Do People Use Guacatonga? The oral preparations of Casearia sylvestris (Guacatonga), like guacatonga powder, are used as an antacid, analgesic (pain-reliever), antibacterial, anti-inflammatory, antifungal, gastroprotective (protects the gastric tract), anticancerous, antiulcerous, antitumorous and antivenin. Any type of consumption of guacatonga should be avoided by pregnant women. There is no information available about the effectiveness of Guacatonga powder. Casearia sylvestris contains some components that include essential oils, flavones, tannins, saponins, antocianosídeos and resins. Guacatonga powder is famous because of its depurative, analgesic, febrifuge, cardiotonic, diuretic, diuretic and for healing effects. What Are The Side Effects /Adverse Reactions of Guacatonga? No severe side effects have reported due to any type of usage of guacatonga. How Guacatonga Interacts With Other Herbs and Supplements? How Guacatonga Interacts With Drugs? There is unreliable information available about the interaction between guacatonga and powder different drugs. How Guacatonga Interacts With Foods? 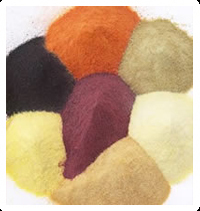 There is unreliable information available about the interaction between guacatonga powder and different food items. How Guacatonga Interacts With Lab Tests? There is unreliable information available about the interaction between Casearia sylvestris and other lab tests. How Guacatonga Interacts With Diseases and Conditions? What Should Be the Dose/Administration of Guacatonga? Guacatonga should be taken in the form of dried leaves in a dosage of 20 grams and mixed in one liter of water. Quarter-cup of this mixture is orally taken 2 to 3 times every day along with meals as anti-ulcer aid and digestive. Since most of the chemicals are soluble in water so powdered leaves in form of capsules or tablets should be taken 1 to 2 grams two times in whole day can be substituted if desired. This mixture can also be applied on skin rashes, burns, wounds and as a mouth wash after tooth extractions or dental work. Specification sheet links below are a standard copy of the COA less the batch or lot number and manufactures dates. Specification sheet can be dated and should only be considered as a general information. Please contact and request an up to date COA if needed for specific updated information before placing order by filling out the contact form with product name and SKU number. If ordering quantities of twenty five kilos or more contact for availability.